What a summer this has been for Luke Bezzina. Having run 100m in 10.68secs at the National Championships last June, his season had apparently come to a close on a high note. That, in fact, was the fastest he had ever run the sprint distance and, even though he did not come out as the winner, there had been real intensity in the race. Having achieved his ambition for the year he got ready for a period of rest after a hard season. 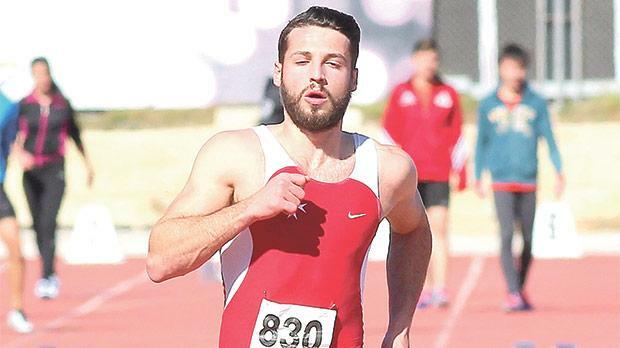 Those plans were put to the side when an e-mail arrived informing him that, given Kevin Moore’s pending doping case, he had been chosen to represent Malta at the Rio Olympics. “It was a surprise,” he recalls. Unfortunately, that wasn’t enough and a run of 11.04secs did not see him advance into the first round proper. Even so, Bezzina returned home something of a changed man. “The whole experience was a revelation,” he said, searching for words to adequately describe his period at the Olympics Village in Rio. If the impression is that Bezzina was star struck, think again. “I realised that these are people like me who dedicate their life to athletics,” he said. This realisation has forced him to re-evaluate his own training regime. Which is exactly what he plans to do. For three months, he is going to put his life on hold to go to Loughborough University where athletics will be the main objective. “Loughborough offers the best sports facilities in the UK,” Bezzina explained. “There, I will have everything I need to properly train for athletics. At the Olympics I made a number of contacts which is how this came about. All this will provide an ideal base when the season kicks off again. That, however, isn’t the extent of his ambitions. Indeed, his ultimate target is far grander. “I’ve learned from this summer’s experience,” Bezzina said.